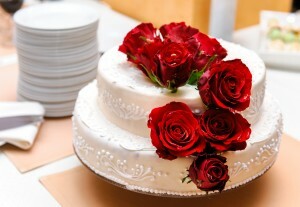 Sarah Weddings > Flowers > Bountiful Blooms: Is It Right To Place Fresh Flowers on a Wedding Cake? When it comes to weddings the only thing as important as the dress… is the cake. Every bride wants a cake that’s not only on trend but also uniquely her own, something that speaks to her personality and puts the cherry on the cupcake of the best day of her life. In years past, most wedding cakes were baked in bakeries by well-known chefs or local wedding cake whizzes. But that all changed when the world was introduced to Pinterest, Instagram and all the other throngs of social media. Sharing our accomplishments and lives, we also share our creativity… it has sparked a DIY revolution. Pair that revolution with the current state of the economy and you now have a generation of do it yourself wonder-kids paving their own way, sewing their own gowns and baking their own wedding cakes in their grandmother’s yellow kitchen. But no matter how creative you are, if you didn’t go to culinary school you may not know all the ins and outs of the out-of-the-box idea of adding real blooms to your wedding cake. 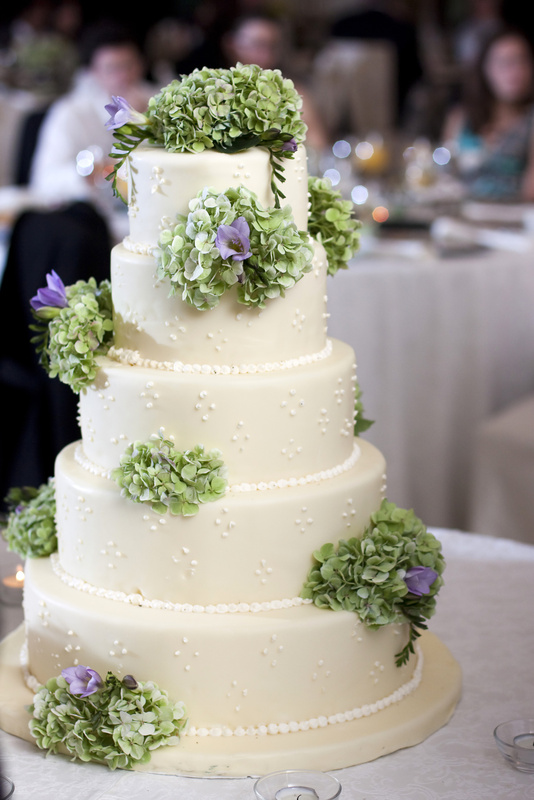 Is it right to place fresh flowers on a wedding cake? Read on to find eight insider secrets about wedding cakes and fanciful fresh blossoms. These tips were provided by a florist in Perth, Western Australia. Check their site at http://perthflowers.net.au/. Real flowers on a wedding cake make a bold statement but they can also be a big faux pas… when done incorrectly that is. Fresh flowers come equipped with fresh chemicals that you wouldn’t want stuffed down into the inside of the cake you’ll be feeding your guests. These same chemicals seep through the stems of the flower and when placed directly into the cake can emit icky, bad-for-you chemicals… and tastes… into your butter-cream filling. Yuck. That’s the bad news, DIY’ers. The good news is that with a little thoughtful consideration and the creativity that you are known for you can use fresh flowers without needing to take out health insurance on your wedding guests in case your cake gives them the trots, barfs or a combination of the two. 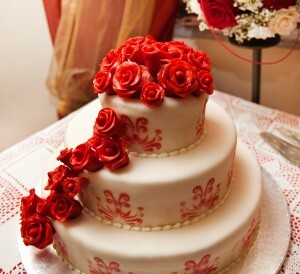 The key to placing stems into a cake is assuring that the stems that enter the cake are always covered. Some bakers use the straw trick. Here’s how it works… cut a straw in half or to the desired length. Insert the flower stem into the straw and then, place the straw into the cake. While technically the stems will still be in the cake, the chemicals and the stem itself will never touch the food. This is a great option as it holds the stem in place, leaving you without any need to worry about those icky chemicals. If the stems of your flowers are too thick to fit into a drinking straw consider covering the stems with Saran wrap. When wrapped tightly the stem will retain its ability to easily poke through surfaces. What we like about this method is that you don’t have to worry about the flower poking down past the end of the straw in the previous method. You can wrap the ends so that they are never even a factor in a mishap. This method of inserting stems into a wedding cake safely is a bit fancier than the previous methods. You simply dip the stems in melted chocolate, allow the chocolate to harden and then insert into the cake. This method sounds very Iron Chef like… but it sounds like an extra step that most people wouldn’t have time for. If you are a beginner and just want to ensure that you don’t leave that icky chemical taste in your cake we’d recommend another option. Now that we have covered keeping the chemical taste out of your cake, we still haven’t talked about petals. If you don’t want to have to worry about what petals are harmless and which ones might be harmful; – roses are always a safe bet. You can pluck the petals off a rose and eat them if you want to… we don’t recommend it but it surely wouldn’t hurt you. If you opt for a flower that you might not want touching the icing on the cake consider parchment paper as a quick solution. When cut precisely and used only where absolutely needed, you can place small pieces of wax paper beneath the petals of the real blooms and never have to worry. Best of all, if done right the paper won’t be noticeable at all. The main advantage of fresh flowers are their aesthetic beauty but their downfalls are many. This doesn’t mean you shouldn’t use them… it simply means you should use them with care. For instance, fresh flowers wilt. What happens if you buy a boat load of flowers only to find in the morning they are horribly wilted, brown and look like you’d expect any flower would if going on a three-day-bender. Yea… that’s not a good look! To avoid the fear of your flowers wilting and being lack luster, pick up the flowers the day OF the wedding. Place the fresh flowers on once the cake is transported to the reception and placed in the spot you’ll want it for the cake cutting and toast. It may sound like a hassle but it’s really not especially when you consider the ugly alternative. When it comes to DIY wedding cakes and real life blooms, faux flowers can save you a lot of grief but fresh flowers add an element of timeless romance and vintage soirées. 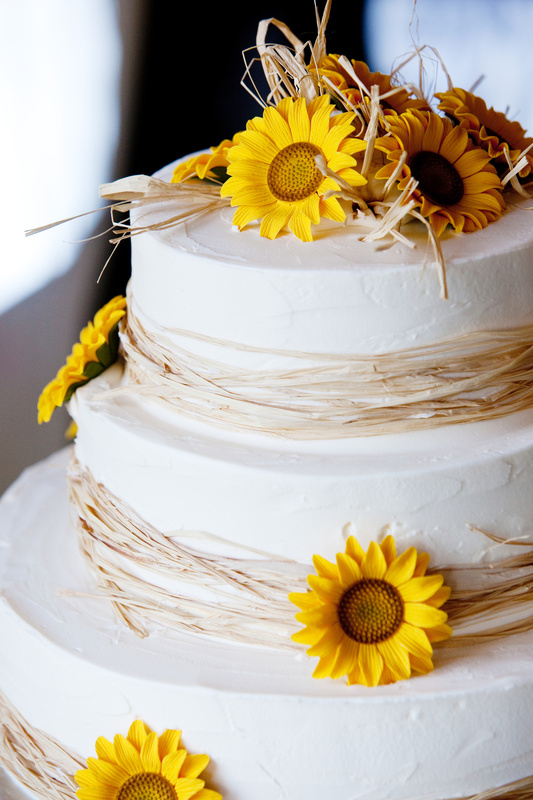 This again posed the question … is it right to place fresh flowers on a wedding cake? The answer is simple. There are no sure answers. The only real answer is what works for you, what makes you happy and most of all, what cake design you dream of when you think of happily ever after.